The emergence of Value Stream Management (VSM) as a concept applicable to IT signals a change for traditional enterprises in a tech-driven world. Finally, organizations have a digital practice available that is focused on the optimization of business value. By combining the people, processes, and technologies that map, optimize, visualize and control how value flows across software delivery pipeline, these organizations now have an opportunity to level the digital playing field. 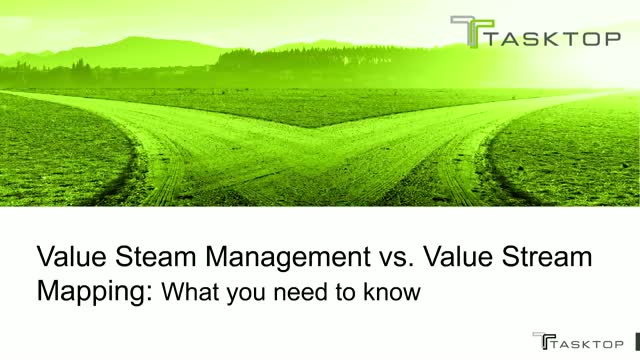 At the same time, all this talk of value streams and Value Stream Mapping - also acronymized as VSM - is causing some confusion. While the two “VSMs” are different concepts, they are not mutually exclusive. In this webinar, Dominica DeGrandis and Carmen DeArdo answer questions on how they complement one another, what they are and what they can do.